New Financial Concetps (NFC) is a team of financial professionals specializing in addressing the financial priorities of today’s retirement age individuals and their families. Retirement planning once meant coordinating pensions and Social Security to provide income. Today things are much more complex. The number one financial fear today is outliving your money! Addressing this requires a balance between investing for growth and protecting the underlying investment. Bottom line, it is difficult to grow what you don’t protect. Finally, a sound financial plan should help to minimize Federal Estate Taxes and Income Taxes on IRAs and other financial assets. We have office locations in Crestview Hills, KY and Cincinnati, OH. 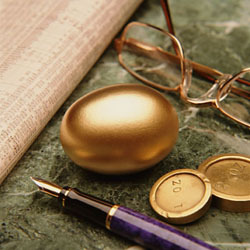 We look forward to working with you and your family to create financial strategies for a successful retirement. * Some Restrictions Apply. Guarantees are subject to the claims paying ability of the issuer, and are not insured by any government agency.